We are seeking talented entrepreneurs to join the hub and take up the opportunity to have their own mini shop. You will get your own kiosk to showcase your products, as well as incubator support to help your business to grow including training and a mentor. We will give priority to local people who live in Hammersmith & Fulham, Kensington & Chelsea and Westminster. We have spaces coming available so get in touch! 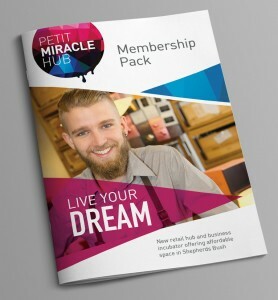 Download the Membership Pack (PDF) for details of how it will work and fees. Fill in our expression of interest form.